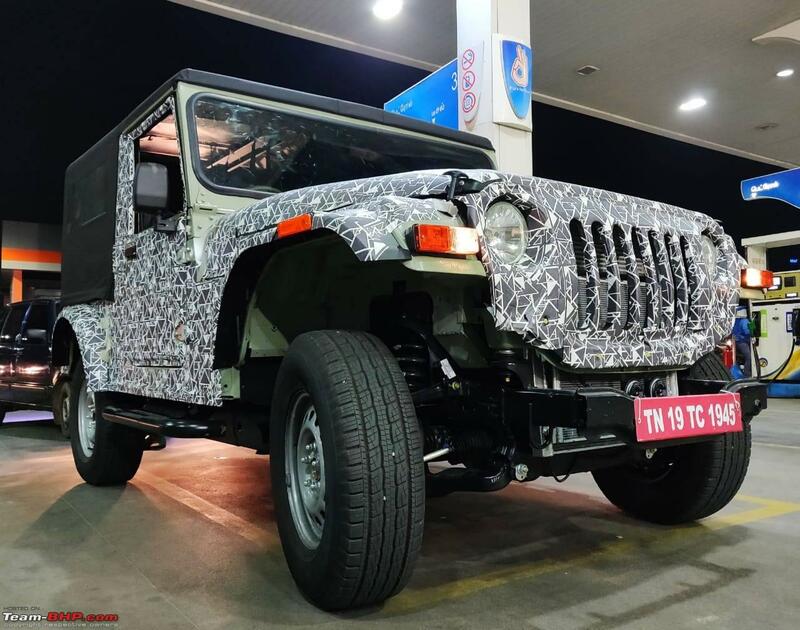 The post All-New Mahindra Thar to Make India Debut at Auto Expo 2020 appeared first on Maxabout News. 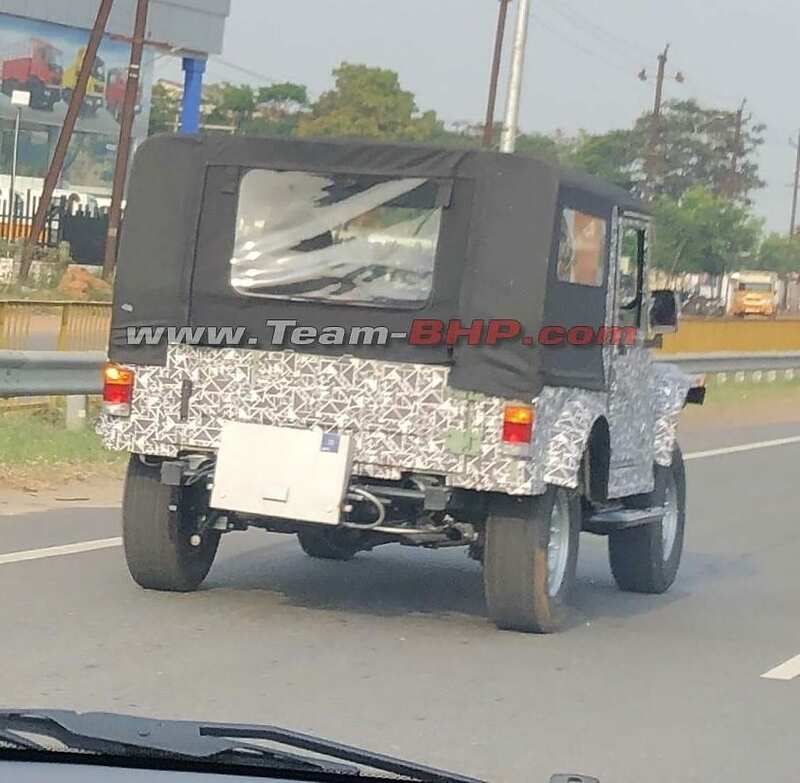 Getting a major makeover, the all-new Mahindra Thar is expected to make its official debut in India at the Auto Expo in February 2020. The next-gen model of Thar is expected to feature a host of new updates including a much wider cabin space, all-new exterior design, updated engine, new alloy wheels, and a removable hardtop. 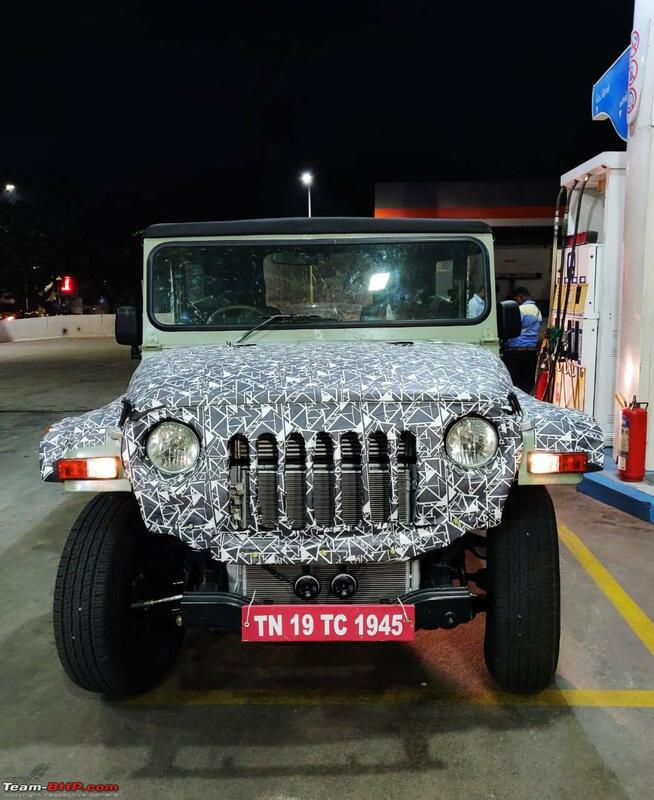 Featuring a 7-slat front grille, the all-new Mahindra Thar has been designed keeping in mind the new frontal offset and side crash test norms by the Indian government to be effective from October 1, 2019. In addition to these, the brand is also focusing on expanding the Thar’s portfolio with different variants. 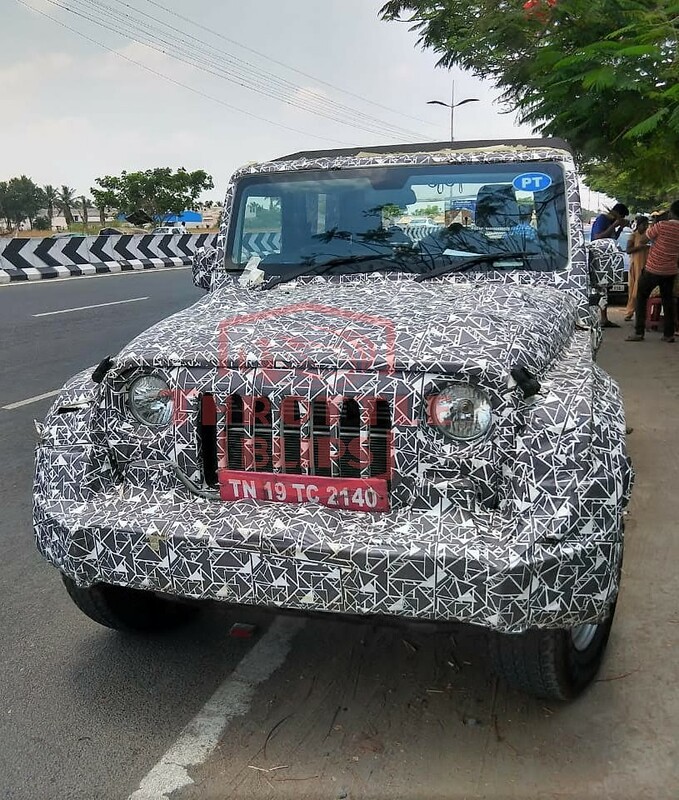 According to the reports, the all-new Mahindra Thar will also be available with Jeep wrangler inspired removable hard top in addition to the standard soft top version. These new safety measures for the first time will allow the vehicle to be pedestrian friendly as well as cater to the hard weather conditions. 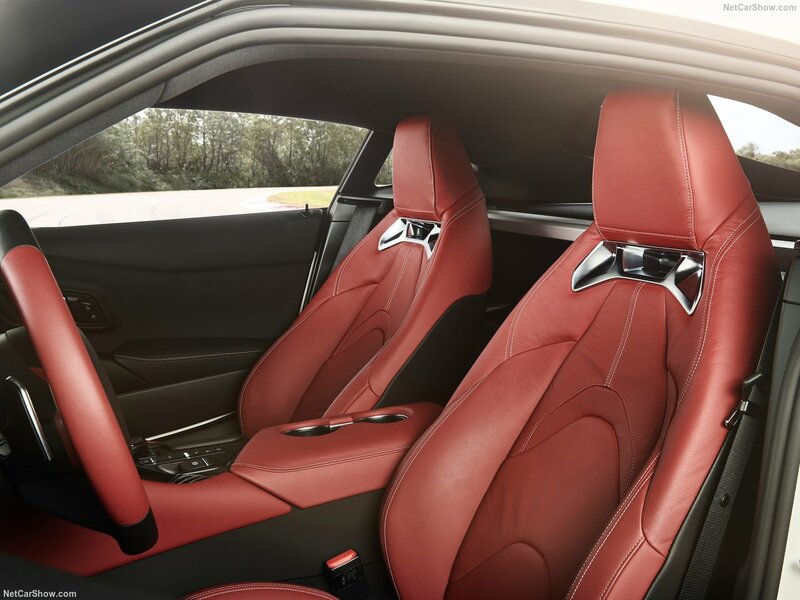 The brand is also focusing on providing the customers with a much more silent interior by improving the insulation levels in order to shield the interior from outer vibrations, heat as well as noise. 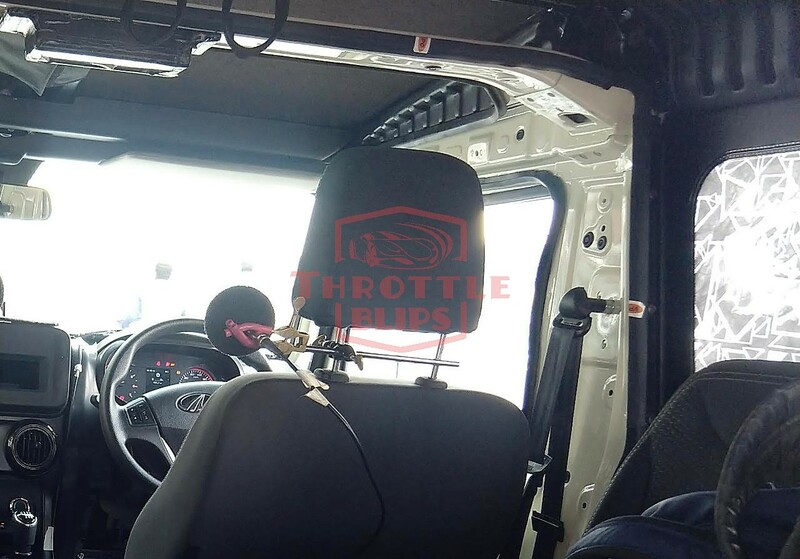 The 2020 Mahindra Thar also features a redesigned steering wheel, chrome inserts on the AC vents, and the SUV’s interior now has more defined design lines. One of the best-added features is a modern instrument console with a multi-information display (MID) and two analogue dials with an updated design. 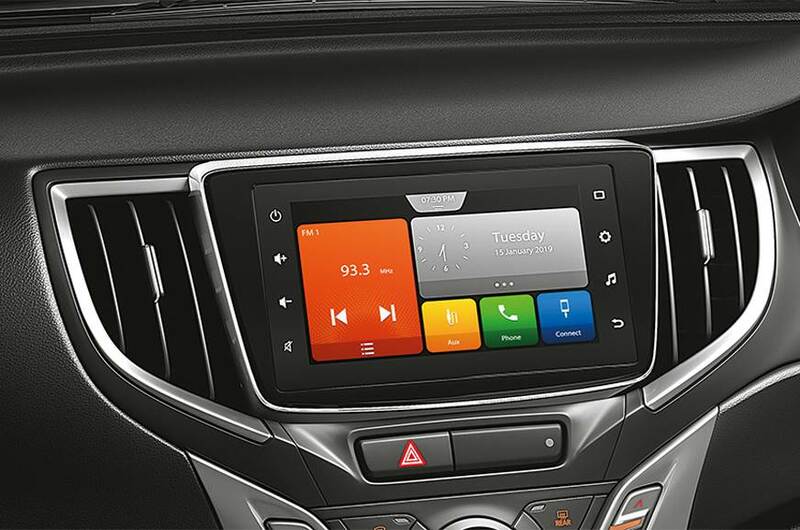 The centre console has also been updated to accommodate an infotainment system. In addition to the design changes, Mahindra is also planning on introducing an automatic gearbox for the Thar. Keeping in mind the new BSVI emission standards to be implemented from April 2020, the brand might also introduce an all-new petrol engine for the Thar. The off-roader is also expected to feature XUV500 inspired 2.2-litre petrol engine in addition to an updated BS6-ready diesel engine. Accommodating the new city-specific features, the all-new Mahindra Thar off-roader would be able to target the audience looking for something unique though being city-friendly. 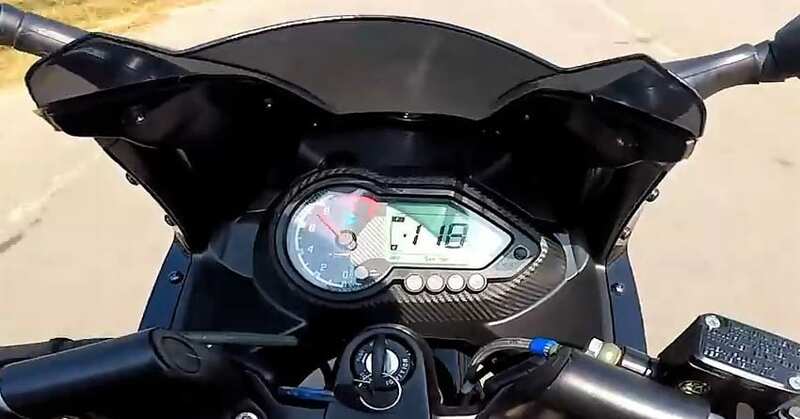 The post New Bajaj Pulsar Model to Launch in India by June 2019 appeared first on Maxabout News. 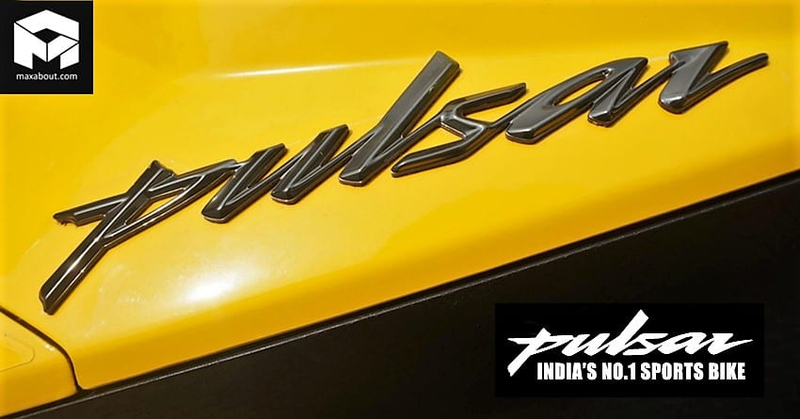 Rajiv Bajaj has confirmed the arrival of a new Pulsar model that will use an innovative technology that will help the brand get more buyers than ever. 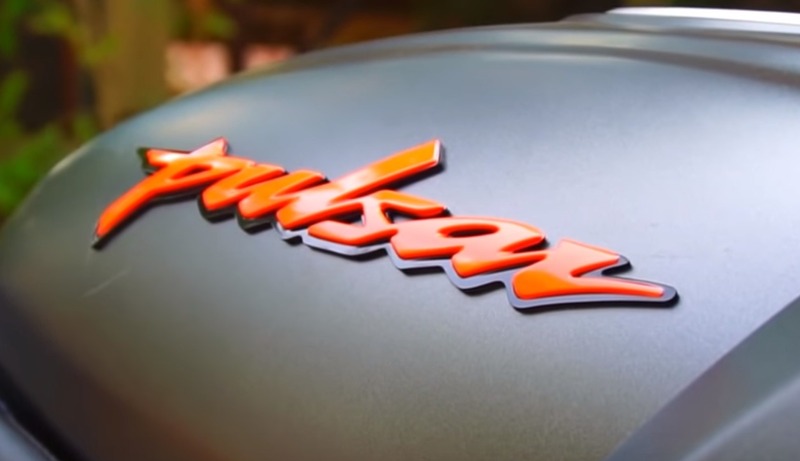 The only question that stays unanswered here is that whether the motorcycle is an all-new model or an update to the existing range and if the second quote stays in place, will it be based on the DTSi model or the new NS/RS series models. 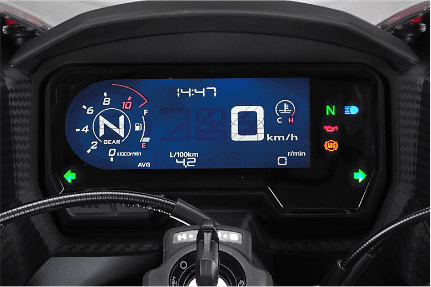 The last phase of innovation from Bajaj came through the updated console seen on Dominar 400, offering impressive real-time values that are not just helpful for keeping expenses in mind, but also knowing how well your motorcycle responds to your riding style. 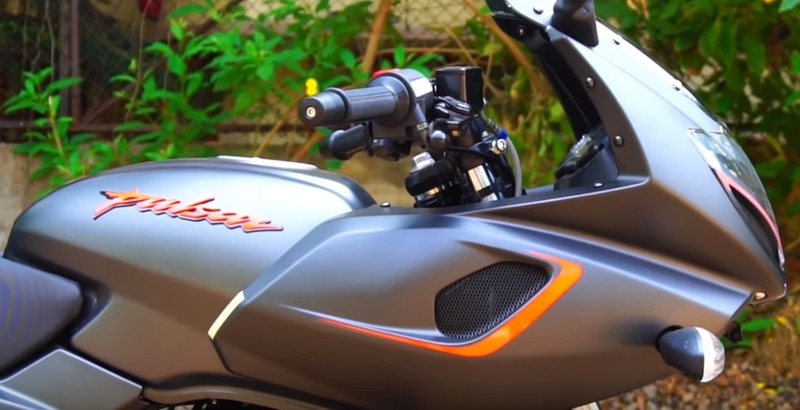 Bajaj has successfully shifted from an everyday scooter manufacturer to a global face with options like Dominar, Pulsar and Avenger series that are accepted by more than 70 countries. 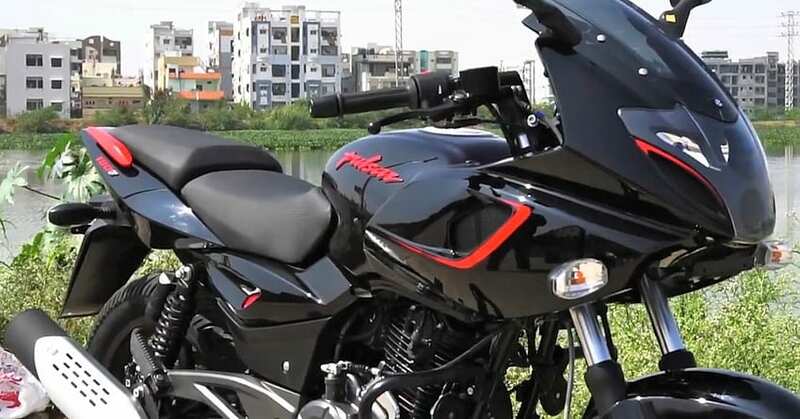 The growth rate of 8% for Bajaj Auto will further improve with the upcoming Pulsar, hinting that the model will be cost-effective and practical for the majority of the buyers in India. 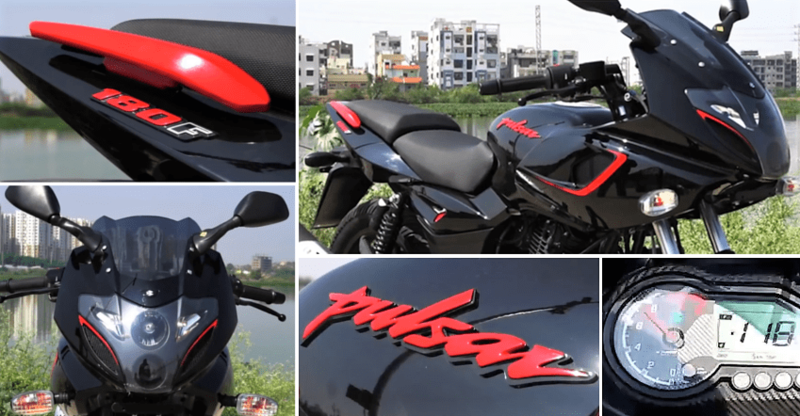 The new Pulsar model will arrive around June, leaving the brand with less than 3-months of time to test the practicality that is hidden under the innovation tag for the motorcycle. Not just the Pulsar, both CT100 and Platina range will also receive some remarkable upgrades in the form of a new model launch. 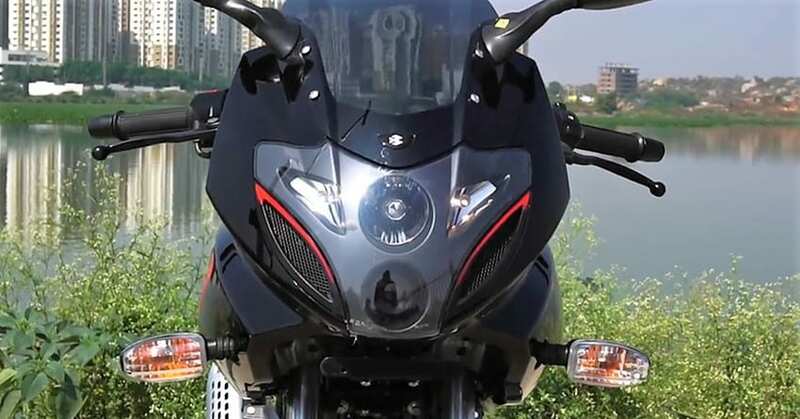 Bajaj Auto is yet to update the official website as the motorcycles without ABS should have left the space from April 1, 2019. Still, most brands (including Bajaj) are not showing their exact lineup on their official website and in case of Bajaj Auto, the brand is still showing the non-ABS models among the options like RS200 and NS200. The Pulsar range is the highest selling sportbike brand of India, leaving behind the celebrated Apache lineup by a large margin. 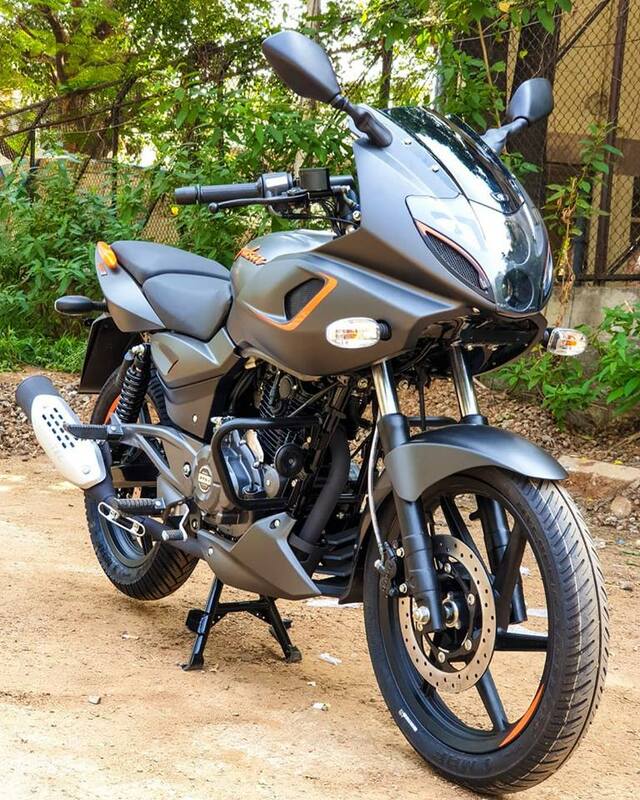 The post Bajaj Pulsar 180F Listed on the Official Website for INR 87,450 appeared first on Maxabout News. 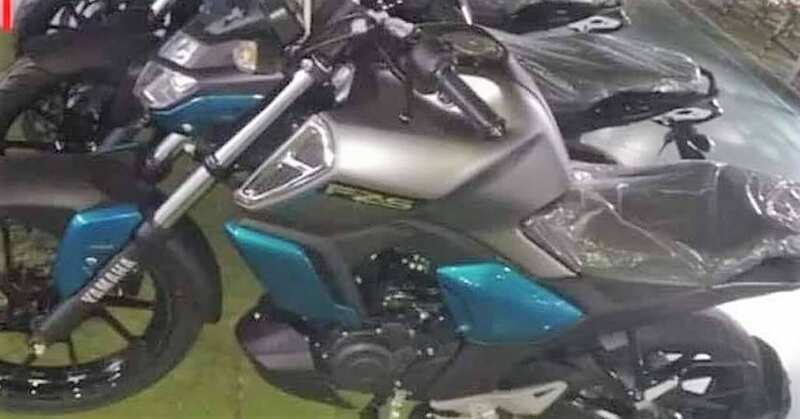 Bajaj has been known for rolling out some of the most extraordinary updates and the one offered to the Pulsar 180 surely seems massive. 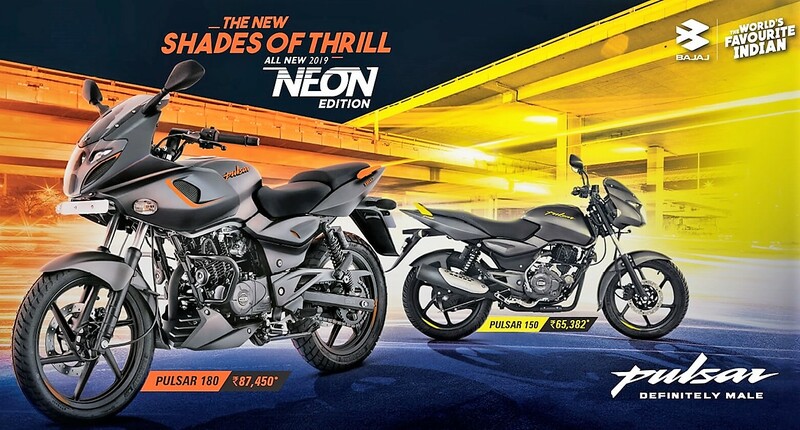 The 2019 Pulsar 180F has been in the news from last few days, and now the listing of the product on official Bajaj banner under the Neon Edition page has made things clearer. 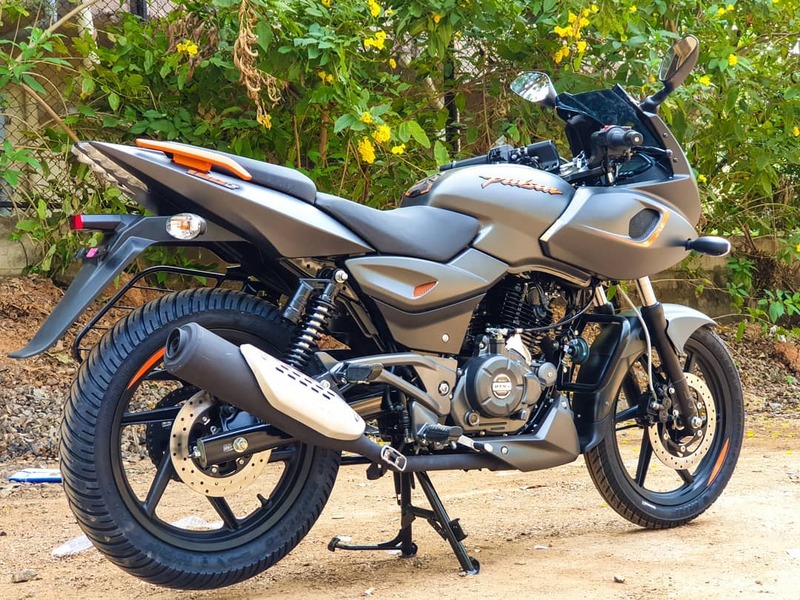 Borrowing the style tactics from its elder sibling 220F, the Pulsar 180F gets a price tag of INR 87,450 (ex-showroom), which is INR 2500 more than the standard variant, all thanks to the new fairing. 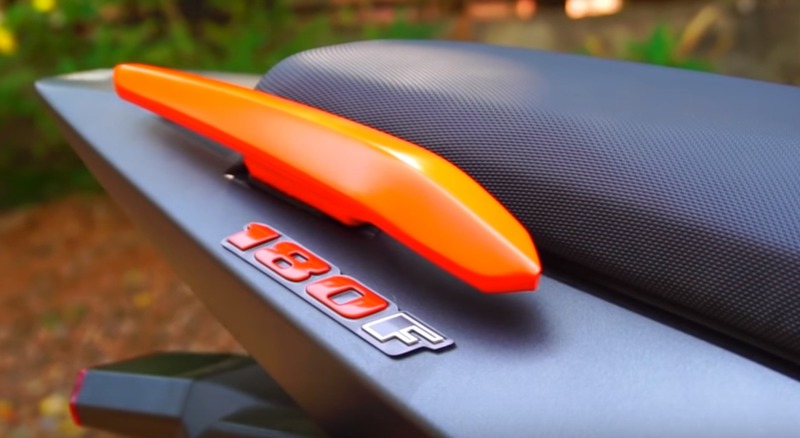 The 180F comes without the single-channel ABS and their updated model will launch within March 2019. This is a massive upgrade considering its price tag and one can expect a price jump of INR 6000-7000 for the 1-channel ABS variant. The new updates go all the way to the fairing as well as some new graphics, though, there have been no changes made to the mechanical bits. 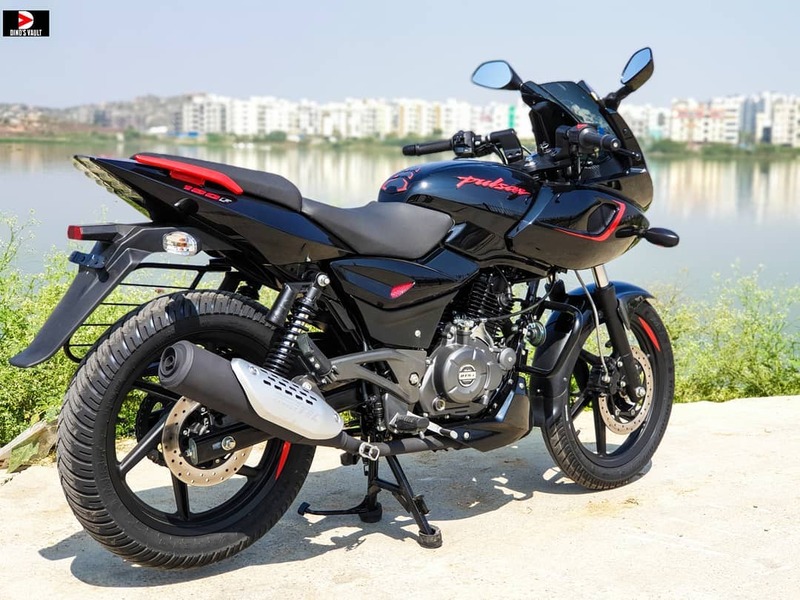 The Bajaj Pulsar 180F continues to be powered by a 180cc, single-cylinder air-cooled engine capable of churning out a maximum power figure of 17 bhp and an utmost torque of 14.22 Nm. The engine is mated to a 5-speed gearbox. 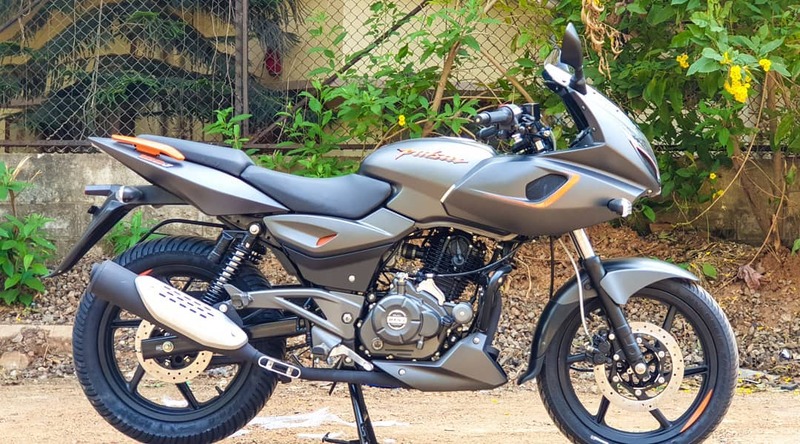 Coming to the new graphics and colours, the Bajaj Pulsar 180F has been brought with two new colour schemes: Gloss Black with Red logos and Matte Silver with Orange logos. The suspension duties haven’t been altered for the 180F and it gets the same 260mm disc brake at the front and a 230mm disc at the rear. The bookings for the bike are now open with a token amount of INR 1000 at some of the Bajaj dealerships across India. Popular YouTube channel named Dino’s Vault has already given the first ride review. You can click on the banner below to check out the video to find out more about the highly anticipated 180F. 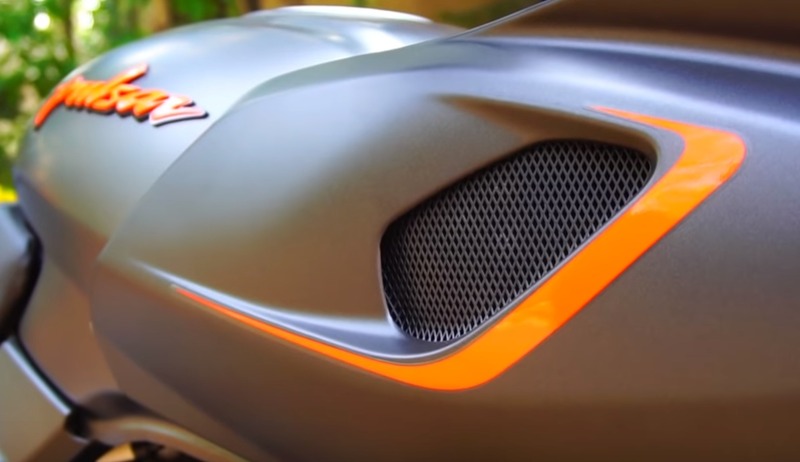 The post 2019 Honda CBR400R Sports Bike Officially Unveiled appeared first on Maxabout News. 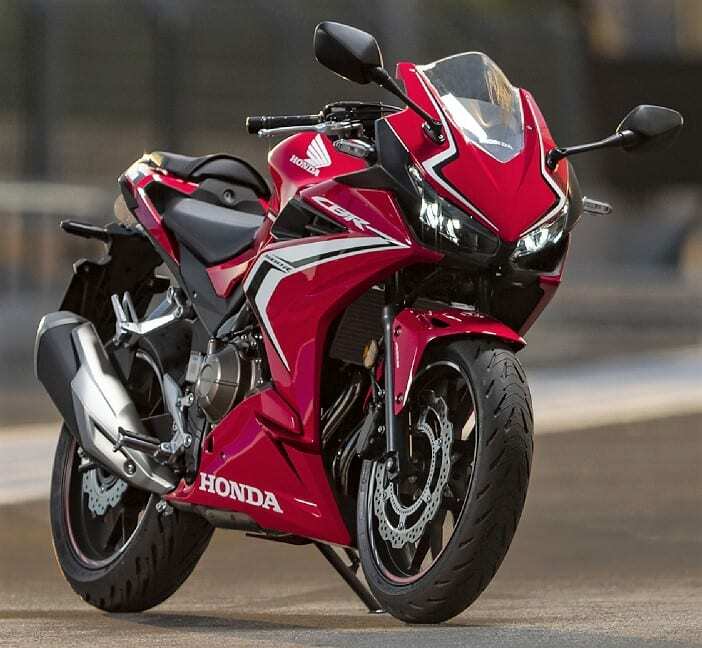 2019 Honda CBR400R is now official for the Japanese market. The motorcycle features standard ABS and costs 7,93,800 Yen (INR 5,17,605 approx). The 2019 variant comes with Grand Prix Red, Pearl Glare White and Matt Axis Gray Metallic as the three new shades. 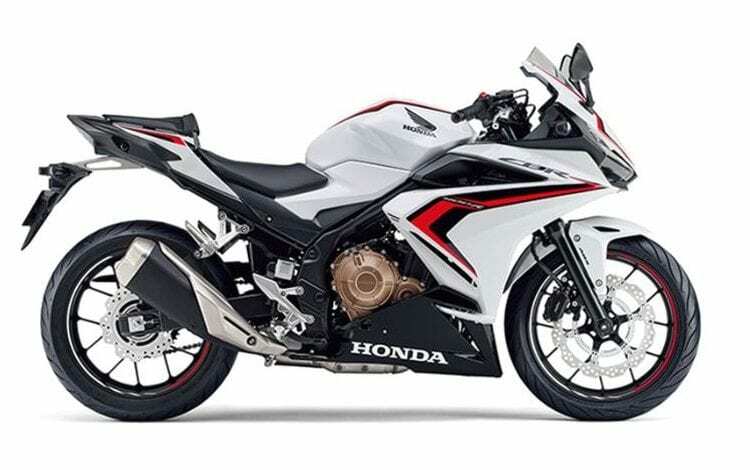 The design is now more in-line with the litre-class CBR1000RR Fireblade, flaunting dual headlights, sharp fairing and wider front fairing with a bubble visor. The rear half has gained prominent winglets while exhaust stays exactly similar to the one seen on 2018 variant. 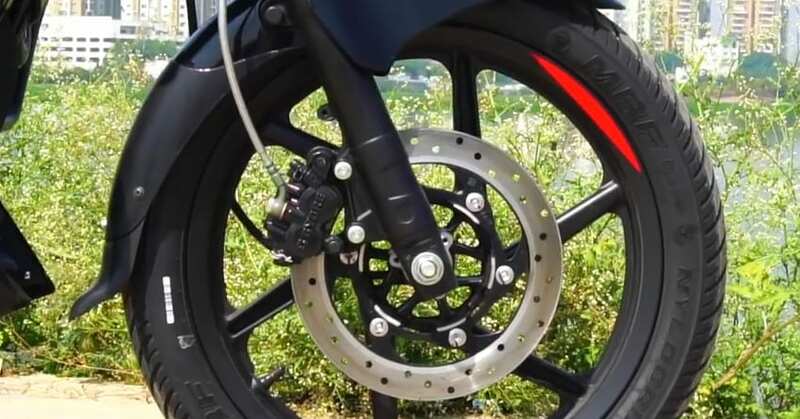 The alloy wheel design, front and rear fender, braking setup and most functional parts between the 2019 CBR400R and 2018 variant are similar. 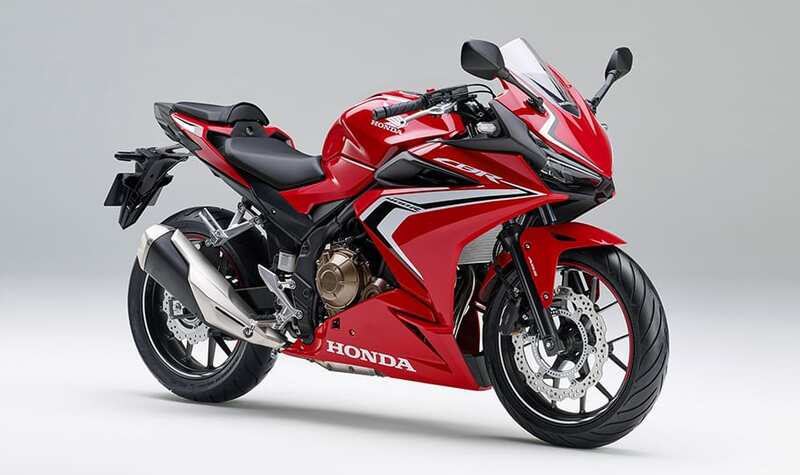 Honda first used the litre-class design language on CBR650R and with every passing month, hopes of getting the same in CBR300R/CBR250R are getting higher for the sportbike fans. The 400cc, twin cylinder motorcycle may be on the cards for India as Honda has entered the 300cc segment with the new CB300R. Once they get a good response from the buyers for this segment, thinking about twin cylinder products will be a reality. 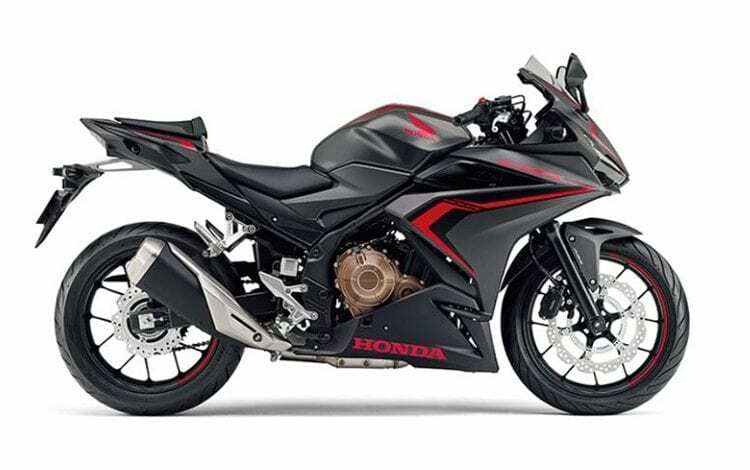 The Honda CBR650F has been discontinued from the Indian market and next product to enter will be the CBR650R for sure. Honda CB400R is powered by a water-cooled 399cc 2-cylinder engine, producing 46 HP at 9000 rpm and 38 Nm at 7500 rpm. The engine is mated to a 6-speed gearbox. The claimed WMTC mode mileage for the motorcycle is 28.3 kmpl while Japanese test value claims 41 kmpl at 60 kph of constant riding. The motorcycle comes with 120/70ZR17 front and 160/60ZR17 rear tyre. 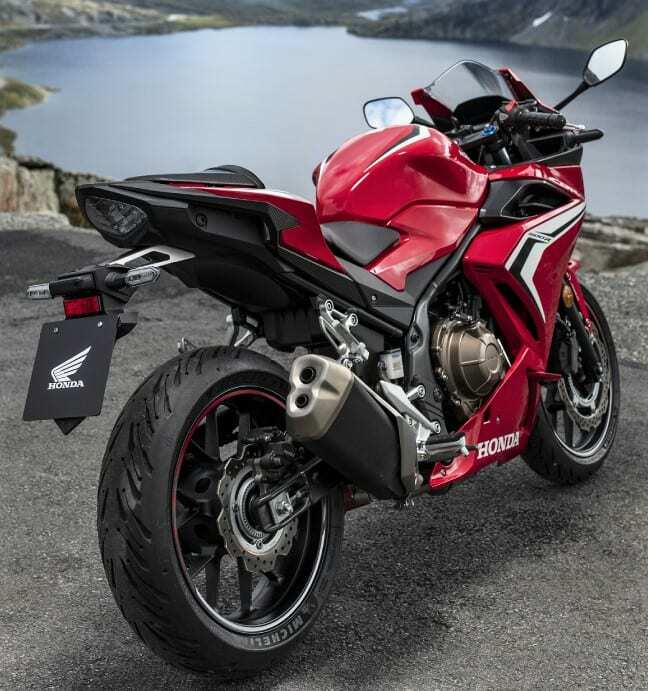 2019 CBR400R comes with 1410mm of wheelbase, 130mm of ground clearance, 192kg of wet weight, and 785mm of practical seat height. Honda has one faired product at every 100cc difference in the international market and many out of them have immense potential for India. The motorcycle even features a hazard lamp. The post 2019 Maruti Baleno RS Revealed, Official Launch Soon appeared first on Maxabout News. The post 2019 Realme C1 Smartphone Launched in India @ INR 7499 appeared first on Maxabout News. 2019 Realme C1 Launched in India: Realme has launched two new variants of its most affordable offering, the Realme C1. The flagship smartphone will now be available with two memory options, 2GB RAM with 32GB of internal storage and 3GB RAM with 32GB of internal storage, priced at an effective range of INR 7,499 and INR 8,499 respectively. The new offering will be available at Flipkart India as well as Realme.com, though, the shipping will start on February 5 after 12 PM. 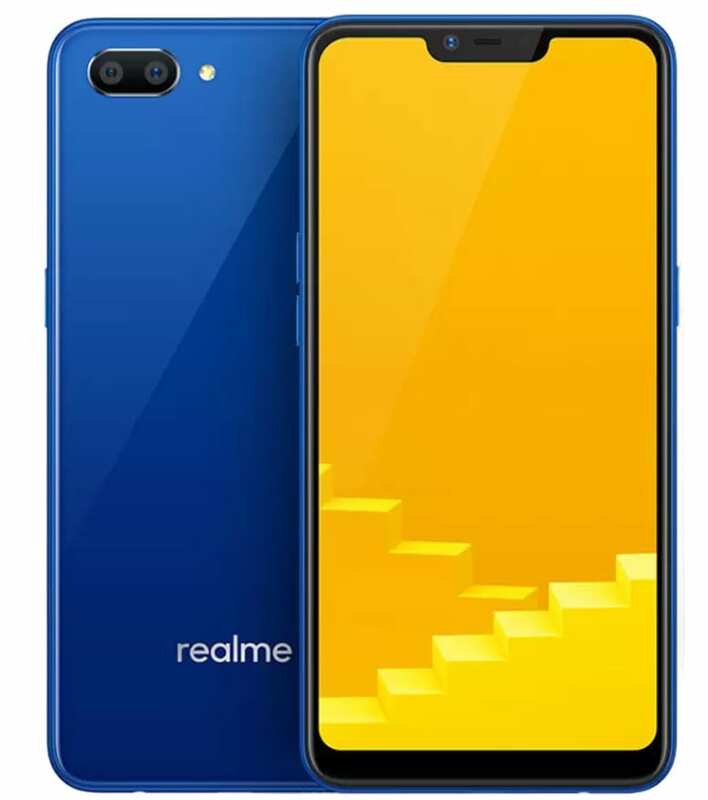 There has been no additions or changes made to the colour options, you can buy the Realme C1 in Mirror Black and Navy Blue colours. With an infinity display, the 2019 Realme C1 exhibits 6.2-inch full HD screen with a pixel resolution of 720p. The smartphone runs on Android 8.1 Oreo while gets a ColorOS 5.1 skin on top. Powering the Realme C1 is a Qualcomm’s Snapdragon 450 octa-core processor with Adreno 506 GPU. The smartphone is equipped with a 4,230mAh battery, with a battery life best in its price segment. It is one of the cheapest offerings ever to exhibit a notch display. The smartphone was initially launched with 16GB internal memory back in September 2018. 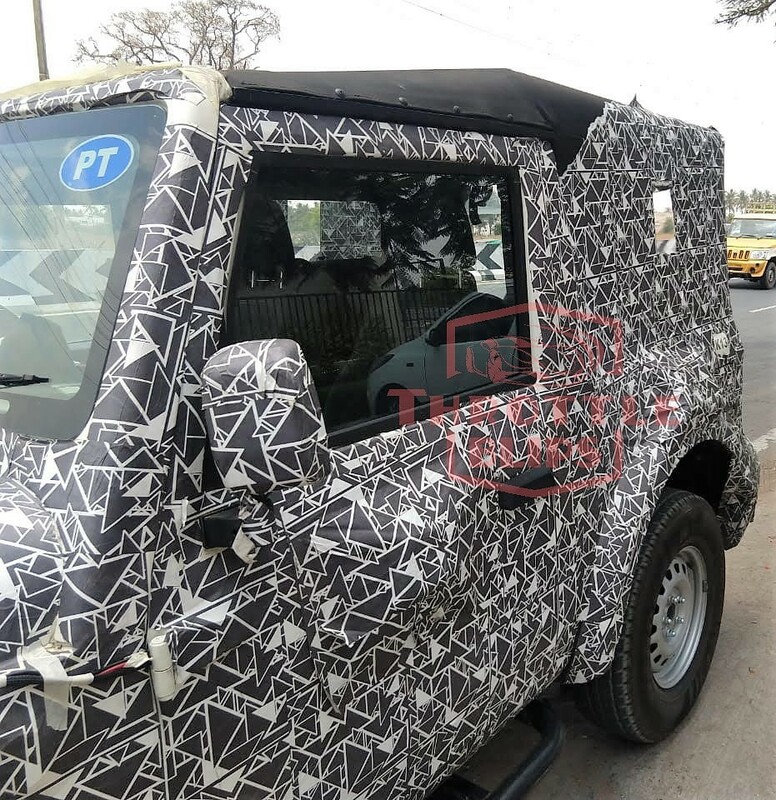 The post 2020 Mahindra Thar Leaked in a New Set of Photos appeared first on Maxabout News. 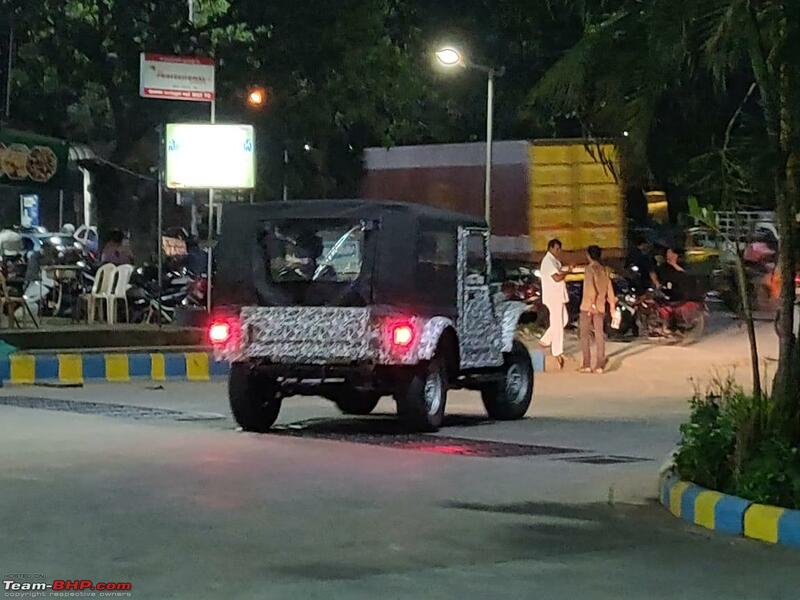 2020 Mahindra Thar Spotted Again (New Photos): Mahindra Thar is preparing for the upcoming BS6 emission and Indian safety norms. 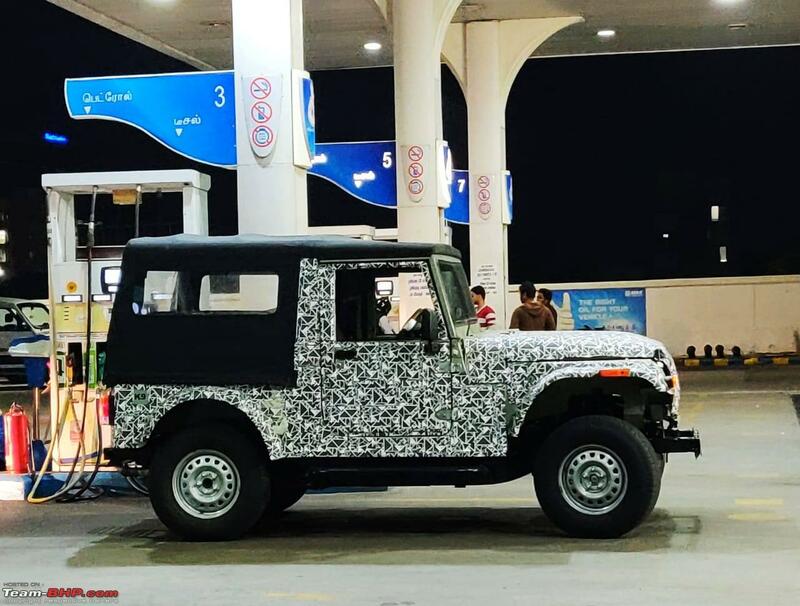 The already spied model with upgrades to its design was seen again at a petrol station. The difference that everybody understands from the closer look is the width of the new Thar, creating a Hummer-like experience with an extra-wide body and missing front and rear styling parts. The bumpers will definitely make into the production version as exposed tires and missing protectors on both the ends create a hazardous situation for the pedestrians on the front and fellow drivers as well as riders at the rear. The front comes with twin round headlamps and a wider than ever grille, retaining the seven iconic slats that are shorter in length. The grille is completely redesigned and may feel even better when the bumper comes into action on the upcoming Thar. The car comes with wide front fenders that can support bigger tires in comparison to the present generation Thar. These features are very useful in off-road driving conditions as more grip is available for the effective system to take on rough surfaces with ease. 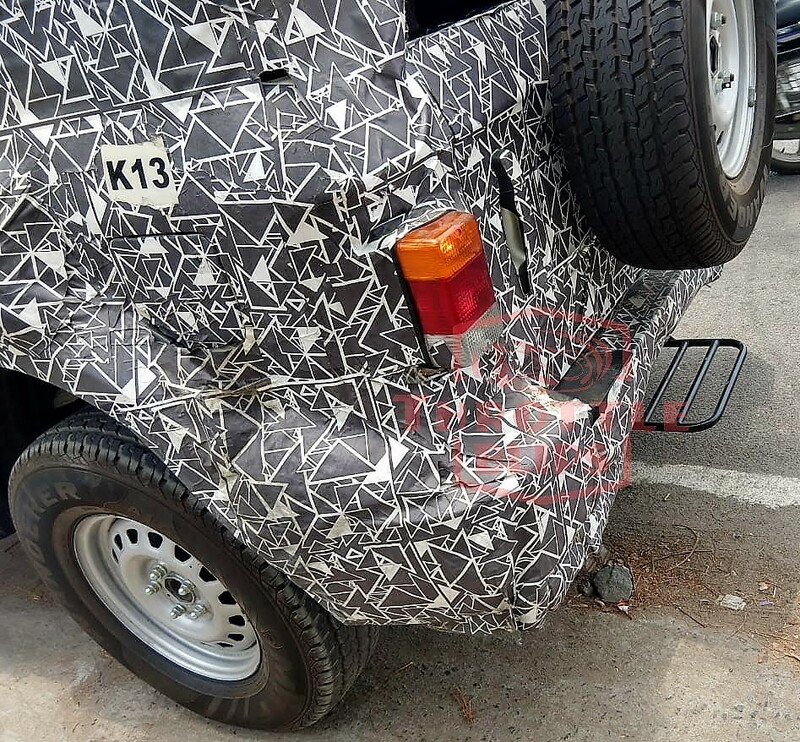 The rear section is available with a canopy on the spied model of 2020 Mahindra Thar. The extended tire travel through the updated front suspension is another big addition. Mahindra is expected to make visible changes to the interior, offering better materials and more room for the rear passengers. 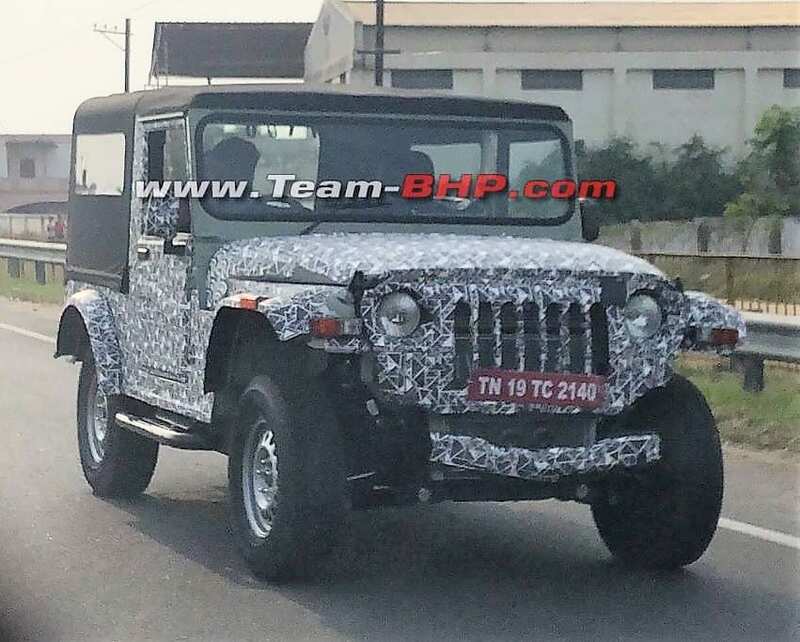 The Thar is seen without the tailgate-mounted rear wheel in its testing phase. Mahindra Thar is currently using a 2498cc, four-cylinder diesel engine producing 105 BHP of power and 247 Nm of torque. The engine may not be used on the new version, most probably due to the availability of a smaller 1.5L motor on the Marazzo that brings a reduction in emissions and is also more powerful with 300 Nm of solid torque. 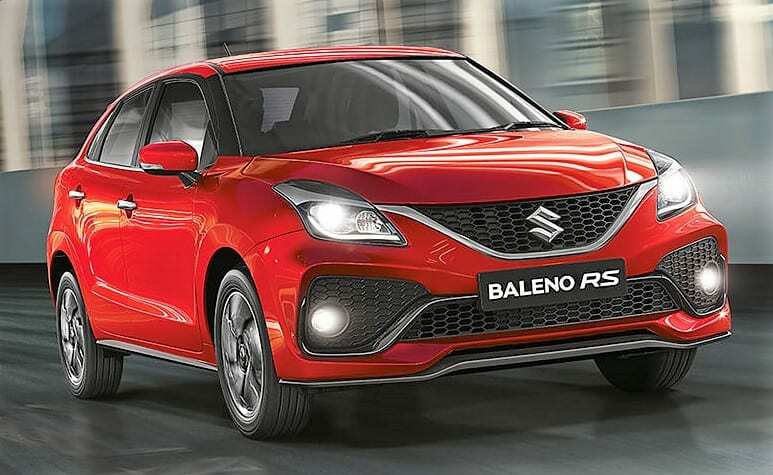 The post 2019 Maruti Suzuki Baleno Launched @ INR 5.45 Lakh appeared first on Maxabout News. 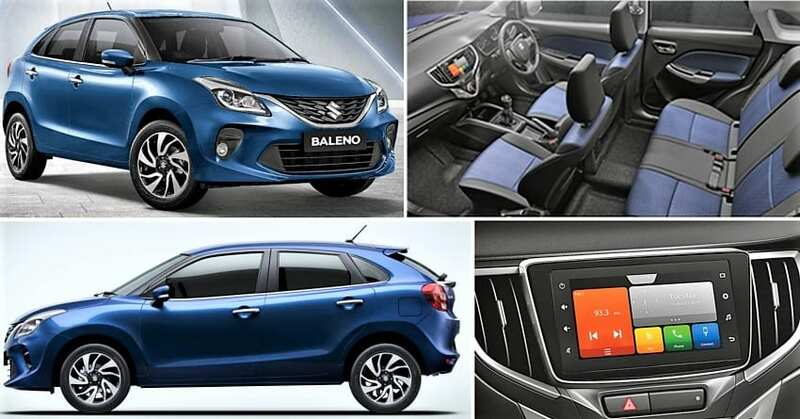 2019 Maruti Suzuki Baleno has been launched in India for INR 5.45 lakh (ex-showroom). The car now comes with a different front grille, redesigned bumper, and updated fog lamp section. The alloy wheels are all-new, flaunting machine-finished feel with the black and chrome combination. 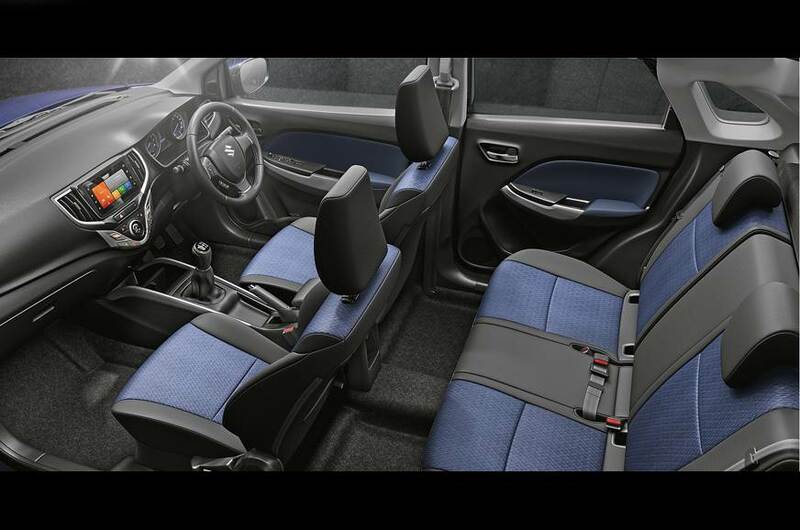 The changes within the interior include black/blue combination on the seats and doors as well as the new Smartplay Studio system. 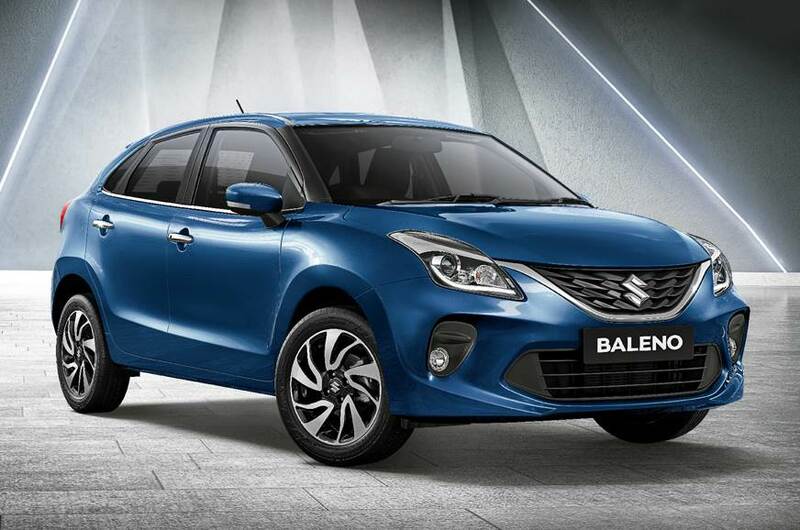 The limited number of changes list the new Baleno under the facelifted list of products. The car now comes with rear parking sensors, speed alert system and seatbelt reminder as standard on all the variants. 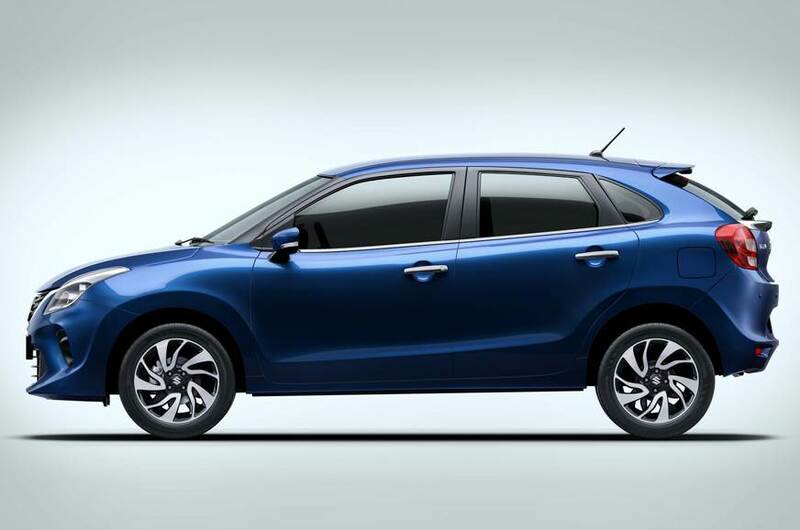 The safety features like dual airbags and ABS are also available across the Baleno lineup. Here is the new price list for Maruti Baleno. Maruti Baleno is the best selling hatchback of its segment, rivalling none other than Hyundai i20, Honda Jazz and Volkswagen Polo in its segment. The impressive legroom and loads of boot space help Baleno score impressive numbers among both the rivals. The 1.2L, four-cylinder petrol engine on the car is good for 83 HP at 6000 rpm and 115 Nm at 4000 rpm. The same engine is available in the new WagonR, along with the other available features like the new Smartplay Studio infotainment system. The 1.3-litre diesel engine generates maximum power and maximum torque of 75 hp and 190 nm respectively. Maruti Suzuki is updating their NEXA lineup as just the Ignis is remaining without the 2019 facelift. The rival products fall in the same INR 5-9 lakh price range. 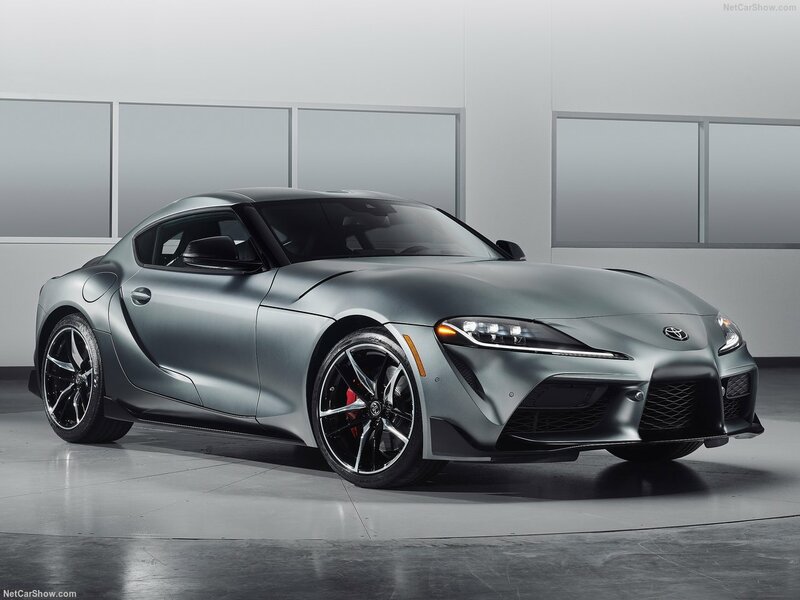 The post BMW Z4-Based Toyota Supra Unveiled for £52,695 (INR 48.20 Lakh) appeared first on Maxabout News. 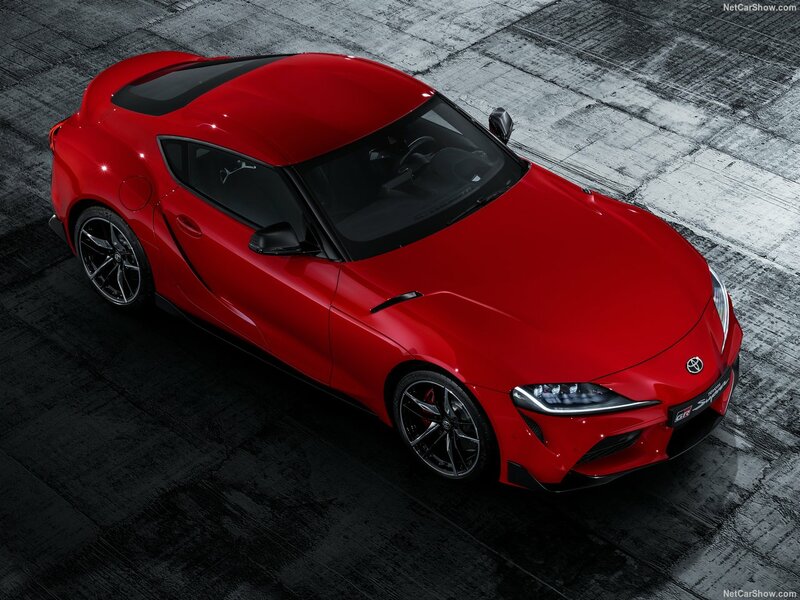 The fifth generation, 2019 Toyota Supra is now officially available in the UK market for £52,695 (INR 48.20 lakh, direct conversion). 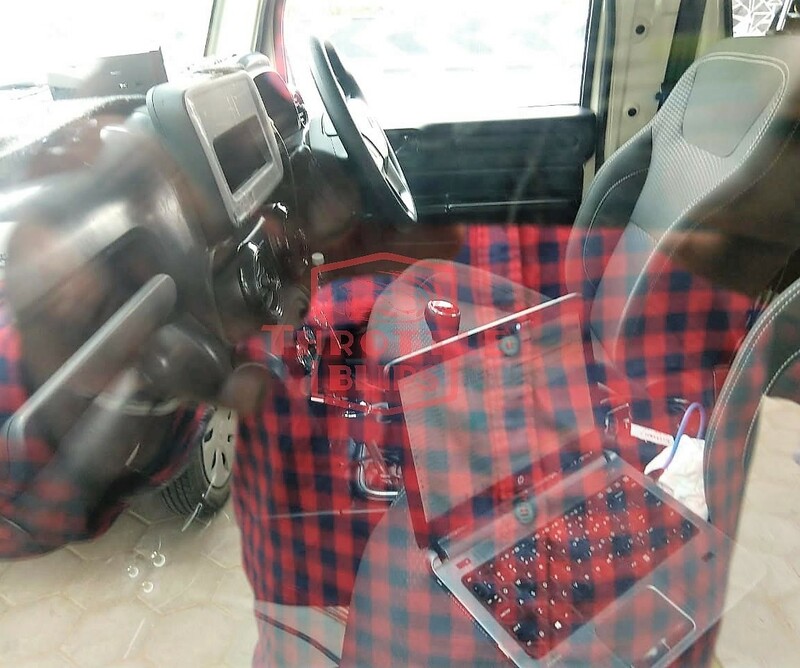 The car was completely revealed through a video few days before its official unveiling. 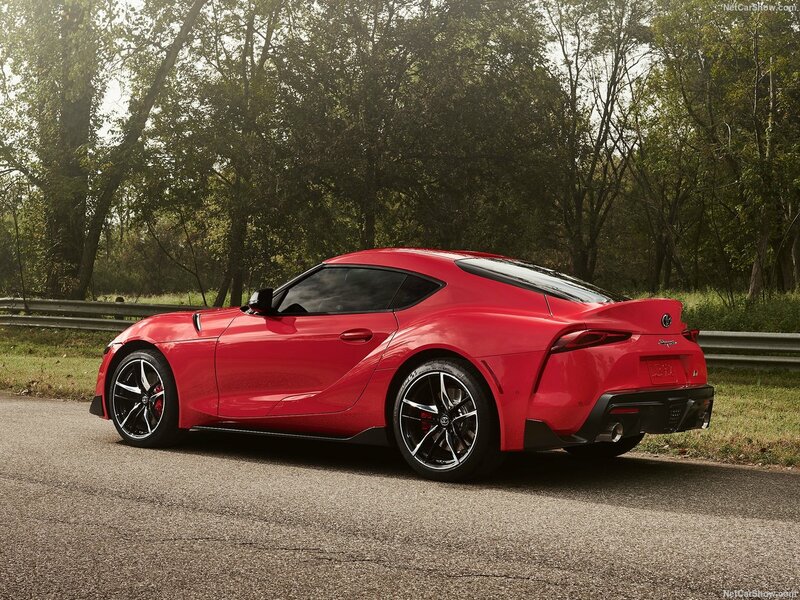 Also, the official banner image clearly defined the sporty character of the new Supra before the brand even confirmed its entry. The stretched daytime running lights, three-section LED headlight and long yet impressive bonnet makes the new Supra an exciting option for its segment. The sharp front bumper is well designed, split into three different sections for adding some appeal. The diffuser seen at the front comes with gloss black finish while the slope of the roof looks amazing from any possible angle. The brake cooling vents are seen at all ends, improving the most crucial element when getting a car that loves sprinting. 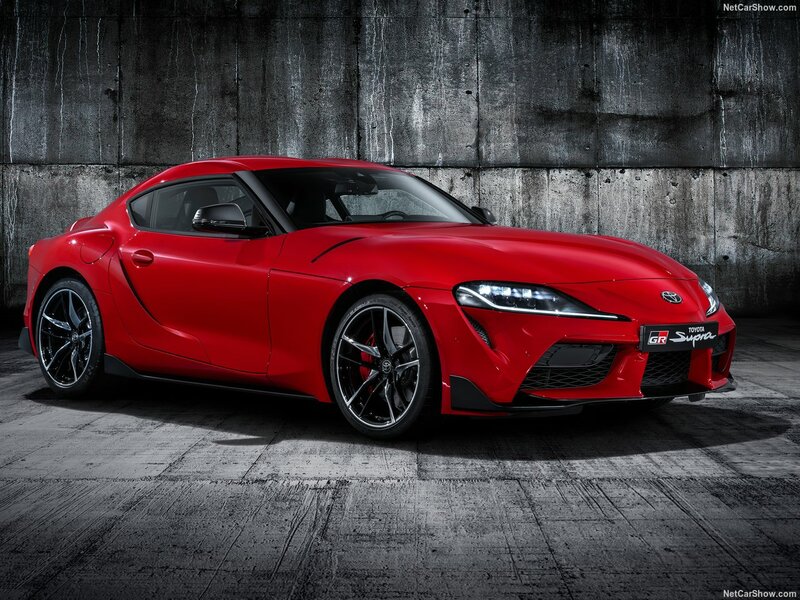 Toyota Supra is developed alongside the BMW Z4 and thus, the engine for both the cars is exactly the same. The 6-cylinder motor on the BMW Z4 is good for 335 BHP while the same output available on the new Supra guarantees the best ever driving feel. Also, the car comes with rear-wheel drive as standard. The 0-100 kph sprint comes in just 4.3 seconds while the rear comes with an active differential. 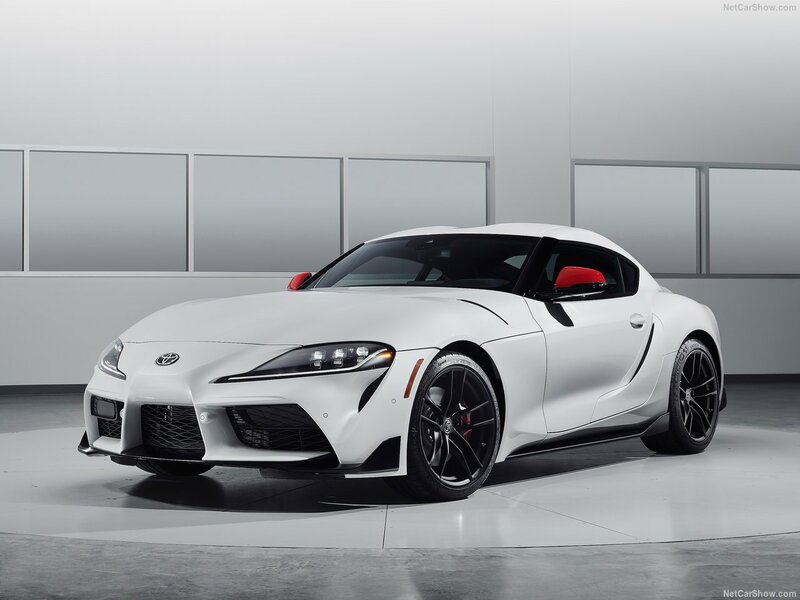 Toyota Supra features massive black alloy wheels, twin chrome exhaust exists, and impressive rear LED pattern. Toyota will also offer the 2.0L turbocharged engine for regular users once the premium variant catches up with the performance fans. The most powerful 6-cylinder motor will use an eight-speed automatic gearbox. 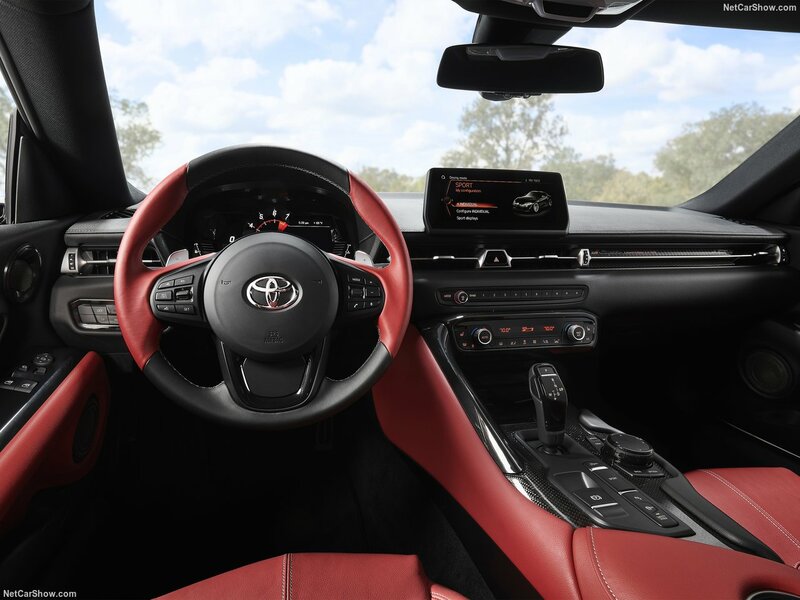 Basically, the new Toyota Supra is a badge-engineered BMW Z4 for the performance-loving petrolheads of the United Kingdom. 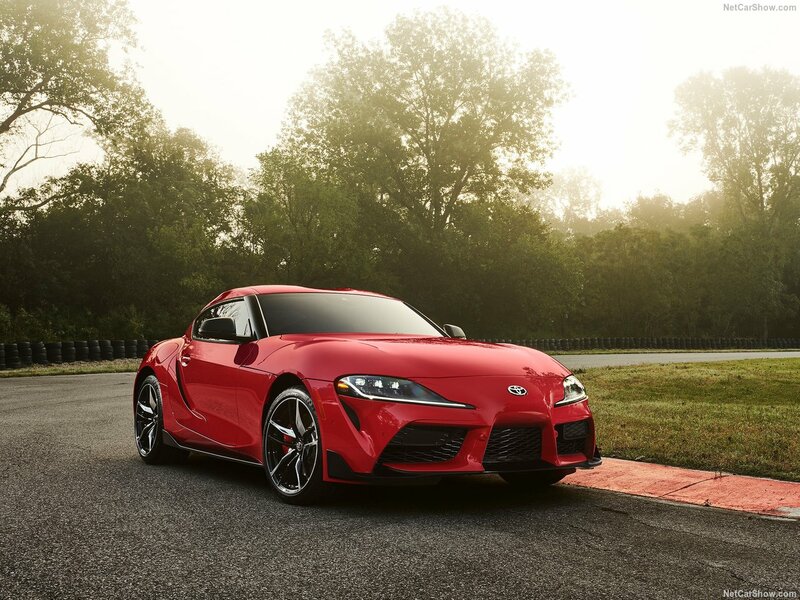 Along with other impressive products from Toyota, the chances of Supra entering India are very thin, or you can say, next to zero. The post Yamaha FZS Version 3 Leaked in a New Set of Photos appeared first on Maxabout News. Yamaha India is preparing to launch the FZS Version 3 in India on January 21, 2019. The event will take place in Bangalore in the presence of Yamaha Motor India’s Chairman Motofumi Shitara. As Yamaha is known to organize press events only when they have something major to announce, the new product comes as an update to the bestselling 150cc FZ motorcycle in India. 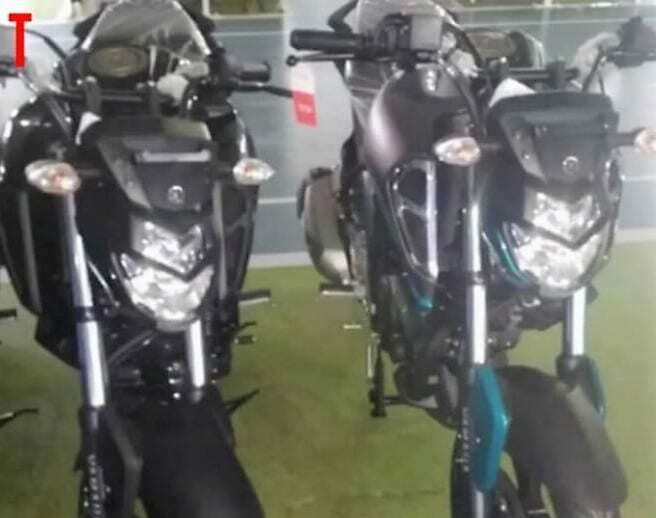 The design is completely different from the second generation model and leaked set of images show LED headlight and additional side fairing on the motorcycle. The all-new design and refined 149cc engine may not prove that effective this time as Yamaha has moved away from the bulky streetfighter design to something that is more commuter-centric. As liquid cooling would have definitely raised the cost and so will ABS, Yamaha will play carefully with their FZ series. The present positioning of FZ V2 at INR 81,540 (ex-showroom) is a crucial point as no other brand offer fuel injection at this point. Yamaha is also renaming their FZ series to MT in most of the countries. For India, they can simultaneously retail both the options by leaving the affordable streetfighter performance to FZ series and putting MT-15 at a premium point. India-Spec MT-15 was recently spotted testing at a different location. Yamaha MT-09 is the only available model with this nomenclature, clearing the buyers about the purpose of bringing the lightweight MT-15 into India. On the other hand, Yamaha understands that India being a volume centric market first needs the FZS Version 3 with more power and ABS. Staying under INR 1 lakh in any case, the new FZ will target almost two times the number of customers in comparison to the MT-15. However, Yamaha fans have proved that price may not be a barrier for them as R15 V3 scored more than 15,000 units in October 2018. 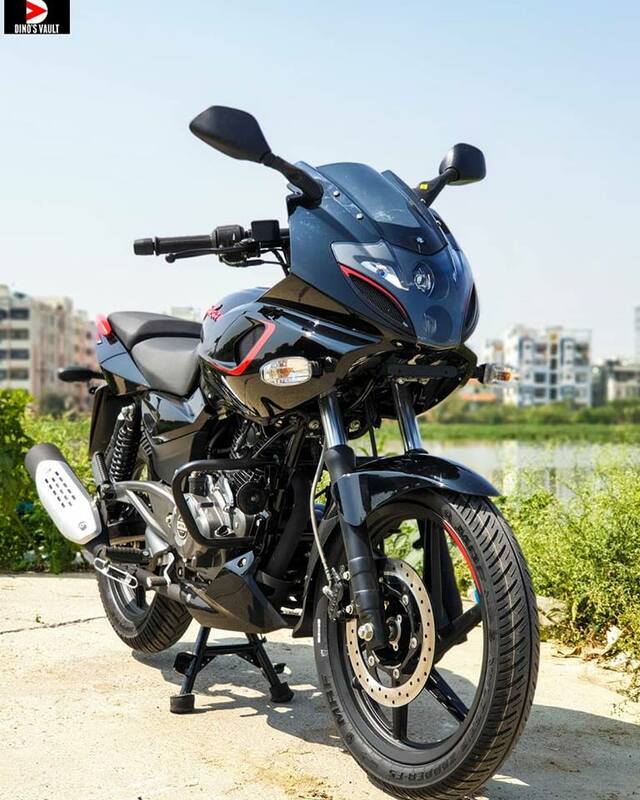 The FZS Version 3 and MT-15 may collectively score double the number once launched in the country.